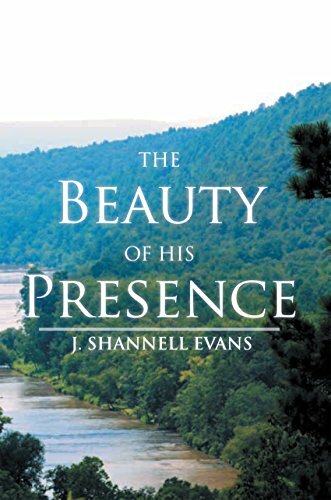 The Beauty of His Presence by J. Shannell Evans is a forty day-daily devotional for Christians. Each passage includes Bible verses mixed with everyday scenarios to which the reader can relate more closely. After each passage is an open ended set of questions with a writing area that lends itself to daily interpretation and reflection. The book begins with verses and passages about Thanksgiving and Christmas. It delves into Jesus’s birth and death from the start then incorporates the roles of faith, prayer, fellowship, and more within its pages. The author incorporates her personal opinion and experience into the work making it feel more personal and real to the reader. Evans has curated a nice flow of devotionals. One flows nicely into the next, while at the same time standing alone should someone get off track or skip around. The passages are concise enough that reading one a day would not be a daunting task at all, and many would likely be able to easily read several. They are simply written while still being engaging. The book could easily be used in a group Bible study or Sunday school group. The questions after each section would be good for facilitating group discussion. The daily “Create your own ‘Thought for the Day’” prompt will leave readers with personal food for thought that they can ponder on throughout each day. I like that the voice of the writer is incorporated. Evans gives accounts of her personal experiences and struggles. This makes the book feel less stuffy and rigid. It makes lofty goals of being a so-called “good Christian” feel attainable. Her personal voice keeps the book light and friendly. It feels more like a conversation than a sermon, and that is comforting. The book keeps a positive, uplifting vibe throughout. The content is heavy at times, but manages to give a hopeful air encouraging a closer walk with God. I think the substance of the book is on target for its intended audience. Readers will enjoy the relatable stories paired with the daily verses. Evans has put together a great body of work with this book. I feel that it will be a book that will strengthen Christian’s relationships with Christ. It will give hope and positivity to the most downtrodden of readers. Posted on December 20, 2018, in Book Reviews and tagged alibris, author, author life, authors, barnes and noble, bible, book, book club, book geek, book lover, bookaholic, bookbaby, bookblogger, bookbub, bookhaul, bookhub, bookish, bookreads, books of instagram, booksbooksbooks, bookshelf, bookstagram, bookstagramer, bookwitty, bookworks, bookworm, christian, christmas, ebook, education, faith, fellowship, god, goodreads, hope, ilovebooks, indiebooks, inspiration, J Shannell Evans, jesus, kindle, kobo, literature, nook, novel, prayer, publishing, read, reader, reading, religion, self help, shelfari, smashwords, story, thanksgiving, The Beauty of His Presence, writer, writer community, writing. Bookmark the permalink. Leave a comment.